Throwing a Soccer themed party for your child? 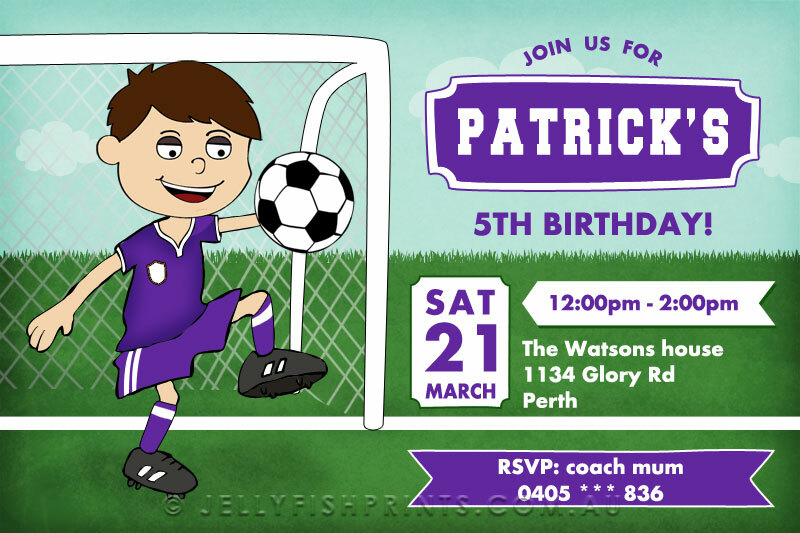 These Soccer party invitations will feature a photo of the birthday boy or girl skillfully handling a soccer ball on the football field right under the goal. Send us your photo and we will playfully add your child to this custom design along with your invitation wording inviting your guests to join the fun. Custom designed soccer birthday invitations that you can print off for yourself. Let us personalise this design with your party details. You can change the colours of the soccer players team uniform to match your favourite team. We do have a complete design so you can choose to include or omit a photo of your child if you wish. 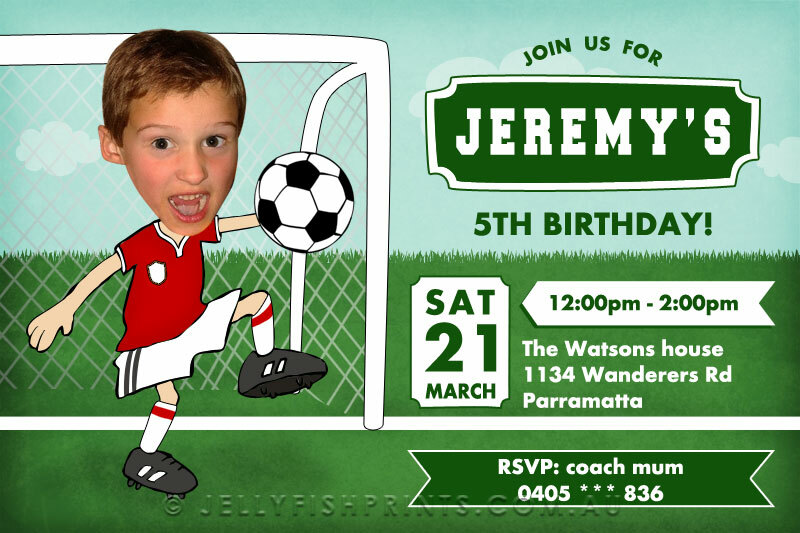 Your printable soccer party invitation will be personalised with your party details and photograph if applicable.